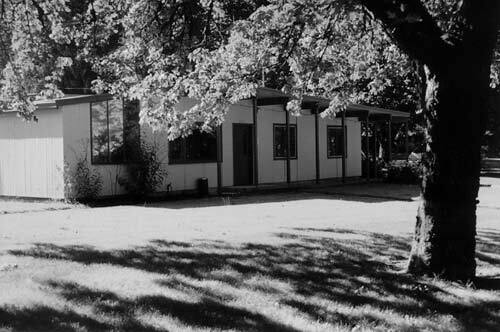 Physical Description: This 1,375 square foot single story building was built on the Martha Creek Field in 1959, with a 280 SF greenhouse later converted to office space. 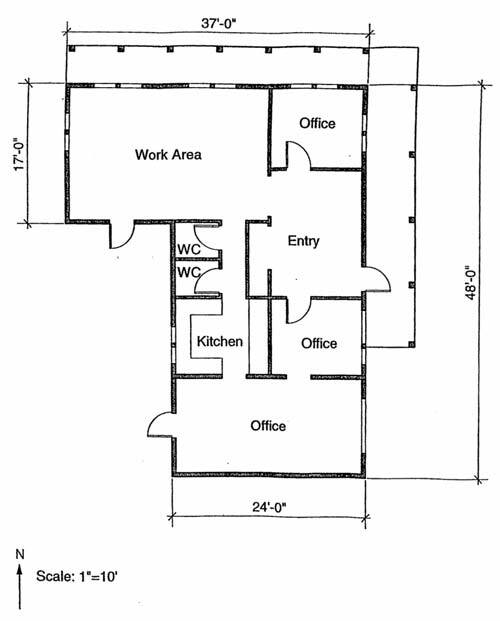 Spaces are usable, and include 4 office/meeting rooms, a kitchen (no appliances present) and two toilet rooms. The building is adjacent to an existing parking area. Major systems in the facility include single phase electrical, heat pump/condensing unit (installed 1984) with under floor ductwork, new insulation installed 1984, air conditioning, computer networking cabling.